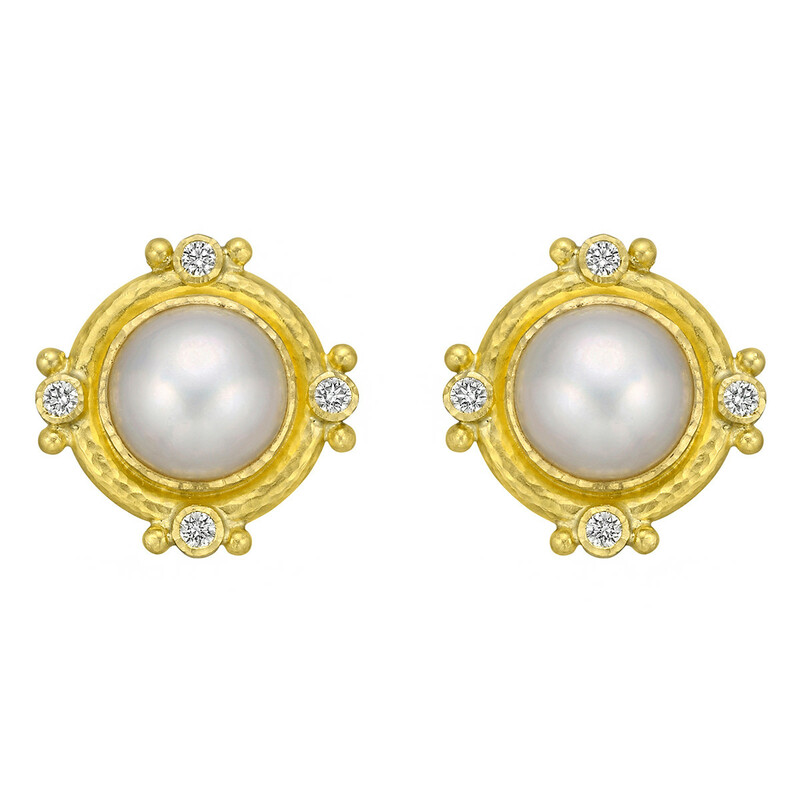 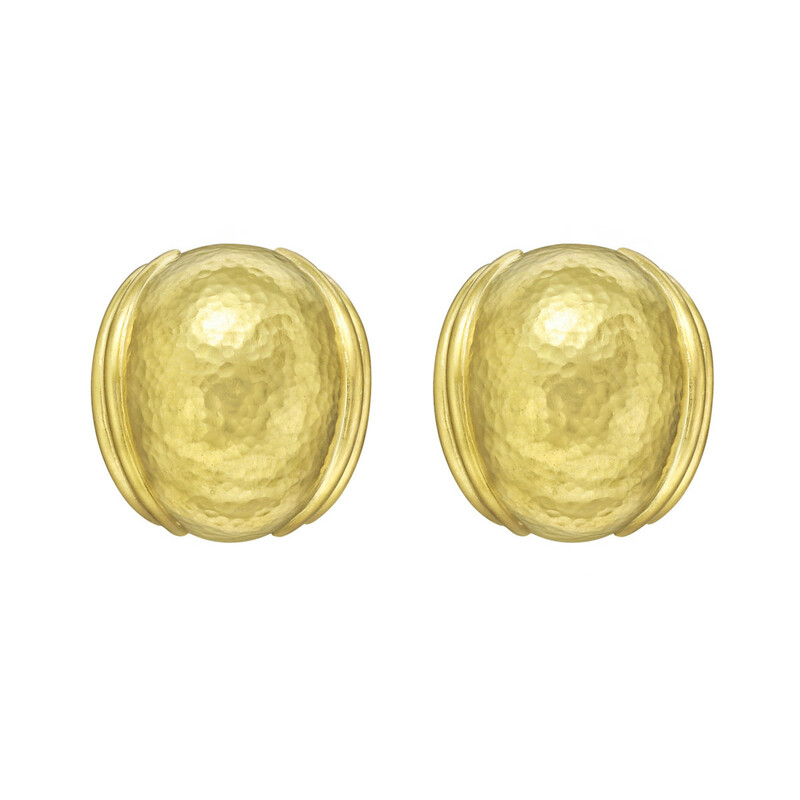 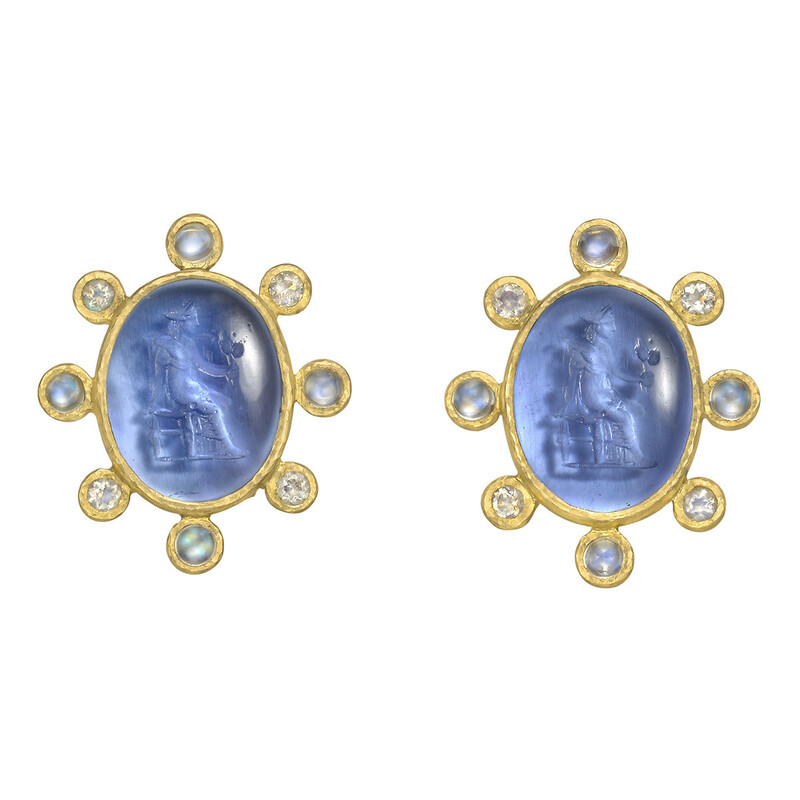 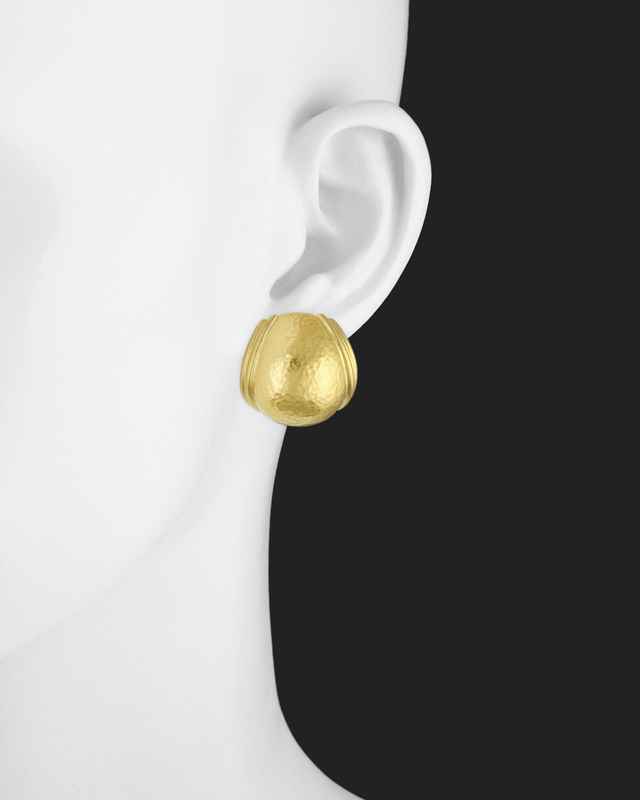 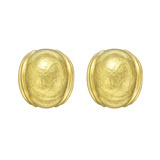 "Puff" earrings, in 18k yellow gold with a hammered finish. 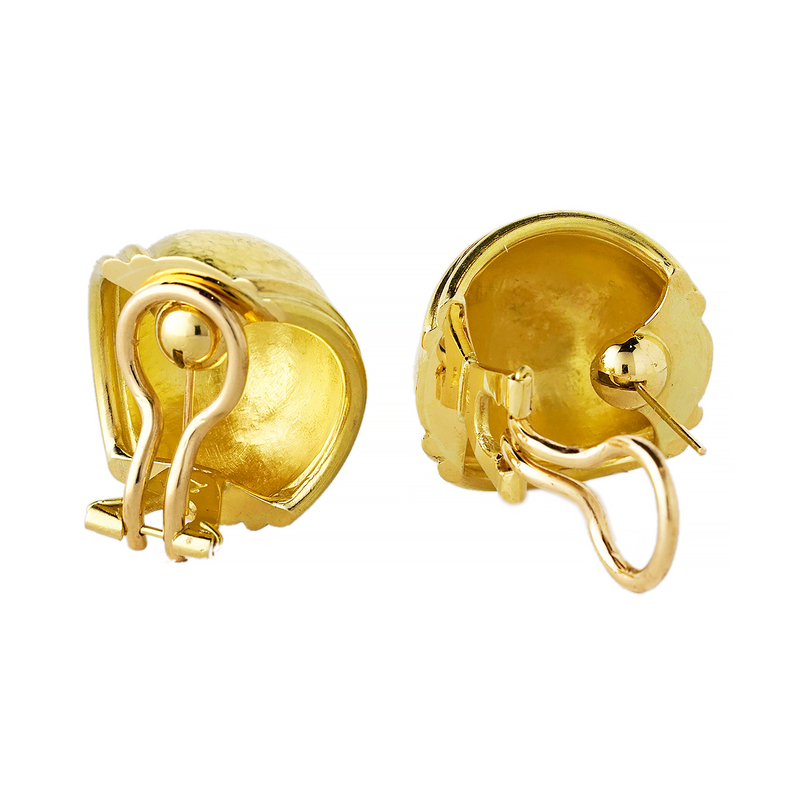 Omega clip backs with fold down posts (for pierced or unpierced ears). 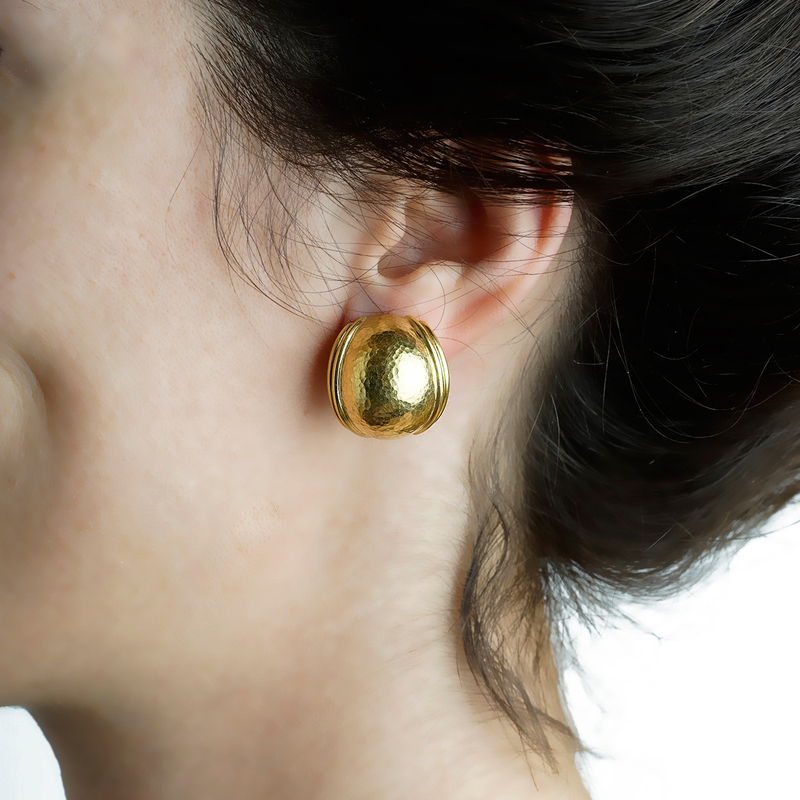 Designed by Elizabeth Locke. 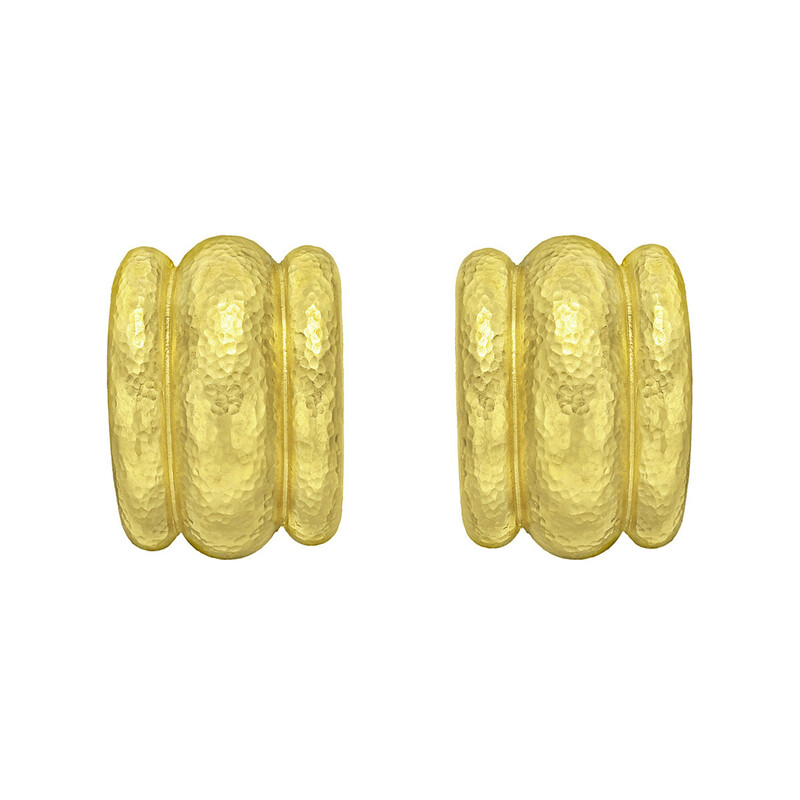 0.75" long.